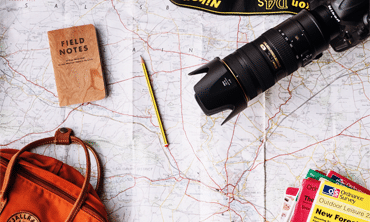 Making a travel itinerary may seem like a complete waste of time, but it could make the difference between a well-organized trip and a haphazard one. A travel itinerary contains essential information that you will require during your trip. Having one means that you won’t waste time looking for a phone number or address thus allowing yourself more time to relax and explore. You can create your personalized travel itinerary by using the following steps. Research and collect pieces of information essential to the trip. They may include hotel reservations, flight numbers, car rentals, directions to the hotel or airport, fees, etc. Also, include a list of all the activities you would like to engage in during the trip. Are there destinations you would love to travel to or specific events you would like to attend? List everything down taking into the account the time you are likely to spend at each stop. After gathering crucial information and identifying activities you would love to participate in, it’s time to organize everything. Use Word Processor or a text editor. They make it quicker and easier to move items around, and you can copy paste information from the web, emails or other documents in an instant. For easy navigation, you can divide your travel itinerary into three sections: General information, Dates/times and notes. Information such as flights, car rentals, trains, hotels, phone numbers, fees and contact names will, naturally, fall under the first section. The dates/times section will include the specific times and dates various activities will take place. To avoid confusion, ensure the entries are in the correct order in terms of date and time. You can reserve the notes section for any significant piece of information that doesn’t necessarily fall under the first two sections. After identifying all your stops, note their locations on the map. Of course, this means you will need to obtain local maps for the areas you intend to explore. Ensure to map the stops sequentially for efficient use of your travel time. When it comes to money, you can’t afford to throw caution to the wind. You do not want to return home disappointed after realizing you spent more than you had hoped. Budgeting is, therefore, key to any trip. You can create a well-organized budget using Excel or any other spreadsheet program. (1) Be flexible – A travel itinerary is not cast in stone. Just because you miss a reservation doesn’t mean it’s the end of the world. Avoid being too rigid. Allow space for back up plans and alternatives. (2) Be realistic – Quit trying to squeeze everything into your schedule. You don’t want to feel like you just spent time in a correctional boot camp when the trip ends. (3) Make a hard copy – Having a digital version of your travel itinerary template is pretty convenient. But phone batteries can die at any time. Consider keeping a hard copy just in case. Do you intend to go on a vacation or trip soon? Make sure you create a travel itinerary. However, daunting the task may seem, it will save you a lot of hassle and inconvenience. With a travel itinerary, even the toughest trips can feel like a leisurely walk in the park.